Georgia native Tim Cavender first put on the red suit when he was fourteen years old. Since then, Tim (whose wife Pam is ever by his side as Mrs. Claus) has devoted himself to an authentic and loving portrayal of the Jolly Old Elf. Every year he devotes much of his time to local charities, Toys for Tots, and a canned food drive for a local television station. From parades and work with photographers to the annual tree lighting at the Governor’s Mansion, Tim carries two integral traits with him – his love and concern for children and a deeply rooted faith in the Reason for the Season. Tim is not only a giver to the children and community that he serves as Santa but he is also a giver to the brotherhood of Santa Clauses as well. Driven by his own childhood experience with a less than magical interpretation of Santa, Tim has a desire to share the best possible image of the Jolly Old Elf. 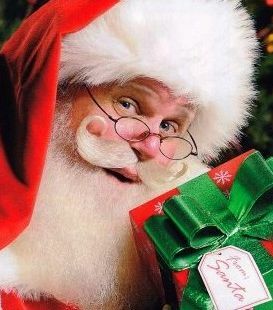 The need for preserving and defending the image of Santa Claus is something that he also shares with fellow Santas and has brought him many admirers within the brotherhood.